Step into the world ridden by the style conscious with Precious Pearl Peacock Long Georgette KurtiTunic for Women latest addition by Snehal Creations. 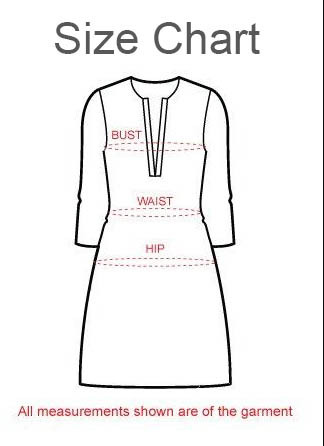 This round neck long kurti comes with a buttoned front open section with thread work escalating down on one of its side. Having full sleeves the kurtiis taped with a broad sky blue and pink ribbon at edges. Thread work also adorns a corner of the tunic base.